We coach beginners athletes all the way to advanced well-seasoned athletes that are looking for something that might be missing to achieve the next leve. We have athletes that have achieved Bronze All World Ironman, qualified for ITU Worlds in X Terra, Age Group Nationals on road triathlon, and multiple local podiums. We offer virtual programs, small group programs as well as one on one coaching. I am long time coach starting with competitive swimming in 1993. I have been coaching triathlon and multi-sport endurance for the last four years. As a former elite athlete myself, I believe I can offer experience in both the physical tools it takes to excel as well as the psychological skills that are required. I have a BS in Biology with an emphasis in Biochemistry. 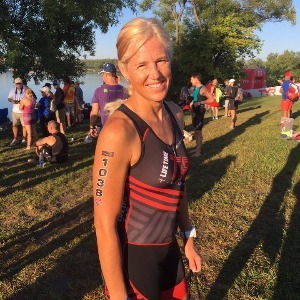 I also possess multiple certifications, ISSA-CPT, NASM-PES, Precision Nutrition-level I, Training Peaks-level I, and USAT-level I. I am currently nationally ranked as an Age Group Athlete and am trying to qualify for ITU Worlds for 2018 as well as the World Championship for the 70.3. My other interests include fine arts, and riding my horses in my limited free time. Success. Coach Jennifer Hoban has been notified of your message.